Did this patent tip Apple's intent to buy AuthenTec? Whenever Apple moves to purchase a company, you know they’ve got something up their sleeves, and it’s not hard to imagine the possibilities of their latest acquisition: maker of fingerprint sensor chips, AuthenTec. AuthenTec Inc (AUTH.O), which makes fingerprint sensor chips used in personal computers, said it agreed to be bought by Apple Inc (AAPL.O) for about $356 million. Apple’s $8 per-share offer is at a premium of 58 percent over AuthenTec’s Thursday close of $5.07. What does AuthenTec do? Not only do they make chips for sensing finger prints, their Smart Sensors technology can be used for mobile wallet purchases, adding another layer of security on top of passcodes and the like. More interestingly, back in June, Seeking Alpha predicted that Apple could use AuthenTec technology to launch a proper iWallet, based upon an earlier NFC patent showing space near the home button for a sensor that looks remarkably similar to the types that AuthenTec offers. Intriguing stuff. 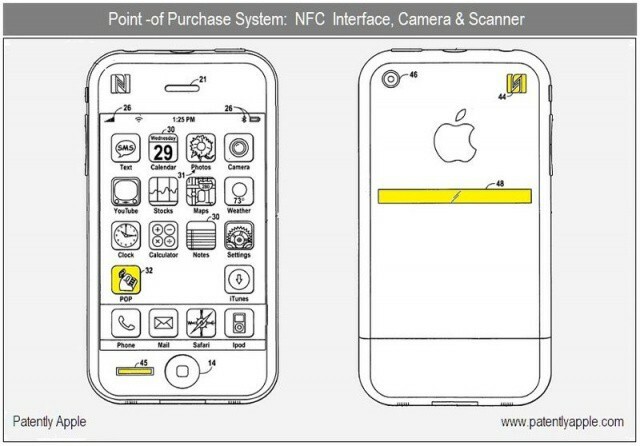 It looks like Apple’s starting to get serious about NFC and mobile payments. How long until they enter the game properly, though?